Posi-Tone Records continues its streak of good new music with this, the debut CD by guitarist/composer Dave Juarez. Juarez, a native of Barcelona, Spain, has created a program that covers much stylistic territory, utilizing an excellent including Seamus Blake (tenor sax), John Escreet (piano), Lauren Falls (acoustic bass) and Bastian Weinhold (drums - he's got a new CD that will be reviewed in the next few weeks.) While there a slew of fine solos, the first thing one notices is the compositions; all these pieces have well-defined melodies and fine harmonies. A handsome ballad, such as "Belieza Anonima", not only has a sweet melody but also wonderful coloring from the supporting musicians. Whether it's a cascading line from the guitar, splashing cymbals or creative piano fills, this portrait is fully developed. The title track, "Round Red Light" (a pleasing take on Mr. Monk's famous tune), is another lovely ballad, with an excellent tenor solo - listen to how Juarez shadows the tenor on the theme (both in and out of the song) and don't miss the splendid rhythm section work from Escreet, Ms. Falls and Weinhold. After a rousing guitar solo, Escreet takes over on "Luna de Barcelona" with a hearty solo built upon Juarez's final lines - he, then, goes off in his own direction, with a rhythmical solo that hints at Flamenco as well as Romantic classical music. "RNP", the final track, is also the most "open", starting slowly then "revving up" for the solos - everybody is "smoking" here, from the poly-rhythms created by Weinhold to the active bass lines to the series of fiery solos (Juarez really lets loose at the climax of his spot), culminating in Blake's tour-de-force. "Round Red Light" starts out strong and gets better as one moves through the tracks. With nary a false step, Dave Juarez has created a gem of creative music that illustrates his excellent composing skills and the joy of creative interplay. To find out more, go to www.davejuarezmusic.com. Enjoy the opening track, "Montpellier View", by clicking on the link below - courtesy of Posi-Tone Records and IODA Promonet. Trumpeter-composer-conceptualist Cuong Vu has issued 2 fascinating CDs, each with its own special flavor. "Leaps of Faith" (Origin Records) features Vu's 4-Tet, comprised of electric bassists Stomu Takeishi and Luke Bergman as well as drummer Ted Poor. Vu's choice of material is as inspired and curious as the instrumentation. The opening 3 tracks are standards, including "Body and Soul", "All the Things You Are" and "My Funny Valentine." Each is given a unique treatment, from the languidly-paced "Body.." where the melody is not revealed until 1/2 way through to the drum-driven "All the Things..." where Poor is really pushing against the slow reading of the melody. "..Valentine" starts slowly with Vu's handsome reading of the melody but begins to pick up speed as the bassists work with and apart from trumpet and drums. The band utilizes amplification, electronic distortion and various effects which, at times creates a murky, noir-ish, atmosphere. But, there are also long stretches where the sound creates something quite special; in fact, on the group's reading of George Harrison's "Something", the low volume draws one in and the ways in which the bassists enhance the melody line are inspired. The longest tracks (12:16 and 15:09) are the 2 Vu originals. The first, "Child-Like (for Vina)", goes through a number of changes in dynamics and intensity, with a melody line reminiscent of Leonard Bernstein's "Somewhere", a noisy bass solo and hints of "Three Blind Mice" in the closing moments. The interaction of Poor and Takeishi with Bergman and Vu is tense yet invigorating. "I Shall Never Come Back" opens with a distorted bass solo (Bergman) and Poor's active cymbal work before Takeishi comes in and Poor adds floor toms to the mix. The piece builds, with the intensity of a work by King Crimson, slowly, until Vu enters, his austere melody lines in sharp contrast to the full-blown percussion and furious bass work. The 4-Tet really push the track to its sonic limits and it's almost over-whelming. A gentle reading of Jackson Browne's "My Opening Farewell" brings the program to a genial close and it's then, and only then, do you realize this is a concert recording. The second release featuring Vu is also a quartet date. The group - Vu, Bergman, Andrew D'Angelo (alto sax, bass clarinet) and Evan Woodle (drums) - goes under the name of Agogic and their debut CD is issued on Table & Chairs Music. D'Angelo brings a brightness to this music as well as his oft-documented ferocity - 4 of the 7 tracks are his tuines. His "En Se Ne" opens the program; with its "deep" groove, the music immediately under your skin. Bergman has a much more supportive role in this band as he and Woodle nail down the bottom, creating a tremendous cushion of sound for the front line to play off and out from. Check out the scrambling, car-chase, rhythm attack of "Too Well" and the fiery solos that emerge. Vu, sans effects, has a crisp attack and plays sharply off D'Angelo's slippery alto. Woodle's "Old Heap", a ballad built off of Bergman's ringing bass notes and the long tones of trumpet and the subdued alto saxophone, has a fascinating drum interlude, like a slow-motion dream sequence. D'Angelo's playful "Use 2" builds rapidly off the rampaging drums and the swift and thick bass lines - the composer takes the first solo, rapid-fire notes flung out over the rhythm. Vu's fiery solo is a treat as well, slicing through the changes with abandon. The closing track, Vu's "Gently Shifting Next", most resembles the music on 4-Tet CD with its slowly rising melody, long tones, the electronic effects, and the descent into silence at the end. If I had to choose between the 2, I'd go with Agogic. It's shorter (7 songs in under 46 minutes) and Vu works well alongside D'Angelo. The 4-Tet recording has plenty of good moments but one has to really take the time to explore within each track. Agogic has its quieter moments as well ("Felicia" is an absolute charmer, full of soul and emotion) yet it's the contrast of the uptempo pieces with the ballads makes the second CD more successful (in my mind.) To find out more, go to www.cuongvu.com. To hear excerpts from "Leaps of Faith", go to www.origin-records.com. For Agogic, go to www.tableandchairs.com. Simply put, this is the best Paul Simon recording since "The Rhythm of the Saints" (my personal favorite) and worth exploring. In the video below, Connecticut residents should be proud of the fact that the drummer is "local son" Jim Oblon who also plays a number of instruments (besides the trap set) on the CD. Firehouse 12, 45 Crown Street in New Haven, continues its Spring 2011 Concert Series with trumpeter-composer Amir ElSaffar's Two Rivers this Friday (4/29). It's a return visit to the Elm City for the Iraqi-American ElSaffar who brought his exciting ensemble to The International Festival of Arts & Ideas in the summer of 2010. Joining him this time are bassist Carlo DeRosa, percussionist Tareq Abboushi, percussionist, violinist and oud player Zafer Tawil, saxophonist Ole Mathisen and drummer Tyshawn Sorey (who, on the night before the New Haven gig, is scheduled to play his Graduate Recital at Wesleyan.) The music ElSaffar creates for his group blends forms and stylistic interpretations from American jazz and mixes that with elements of traditional Iraqi maqam (a modal system developed in the Middle East over many generations.) His 2007 recording (released late in the year) for Pi Records, "Two Rivers", made many "Best-Of" lists in 2008. He, also, leads a quartet with tenor saxophonist Hafez Modirzadeh that explores similar musical veins. The sextet will play 2 shows, 8:30 and 10 p.m. For ticket information, call 203-785-0468 or go to www.firehouse12.com. 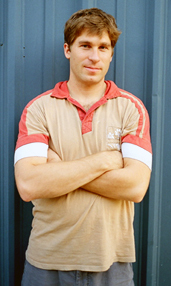 To find out more about Amir ElSaffar, go to www.amirelsaffar.com. To hear a track from the "Two Rivers" CD, click on the link below. I received the following email from bassist/composer/educator and co-leader of the Afro-Semitic Experience and I pass it on to my readers. Baba David Coleman, the percussionist of the Afro-Semitic Experience, has continued to suffer some major health issues. Unfortunately, over the past week he has continued to experience some set backs. He was rushed back from a rehab facility to the hospital last week because his white blood cell count dropped dramatically while at the same time he was running a very high fever. Some of that is now leveling off but he is being kept in the hospital until things are more stable and so that the doctors can monitor his healing. He has had portions of three of his fingers amputated and experienced some major circulatory problems. All in all, Baba needs our help and Stacy Phillips, our Dobro and violin player has organized a major fund raising concert. The concert will take place next Sunday, May 1, at 6:00 pm at the Neighborhood Music School, 100 Audubon Street in New Haven, Connecticut. The Afro-Semitic Experience, Mikata, and Osere Irunmole Atilu Atorin, a group of Yoruba drummers from New York City are all performing at the concert. Tickets are $20 per person and all of the money will go to covering the debt Baba has incurred while he has been in the hospital. I hope you can join us for this event. All of the artists involved are friends of Baba and this concert is going to be a celebration of his musical accomplishments and contributions to our community. If you cannot attend the concert and you wish to contribute to Baba there are two ways you can send him a donation. The first is to send a check to Baba David Coleman care of the Afro-Semitic Experience. All of the information for making a donation is right on the front page of Stacy’s web site. Either way we hope you can join us for this concert to help one of the important members of our music community. Baba is more than just a drummer. He is an educator and a role model for the many children that he has taught in the New Haven community. To paraphrase the old saying, Terell Stafford could play the phone book and make it interesting. The trumpeter (who also plays flugelhorn) has issued a new CD with his working quintet with 9 tunes from the pen of Billy Strayhorn ((November 29, 1915 – May 31, 1967), the alter ego of Edward Kennedy "Duke" Ellington and the man who has composed a slew of great songs. "This Side of Strayhorn" (MaxJazz) features several tunes serious jazz fans have probably heard hundreds of times ("Lush Life", "Smada") and some that may be new to most listeners ("Lana Turner", "Multicolored Blue"). Stafford plays great throughout and the band - Tim Warfield (tenor & soprano saxophones), Bruce Barth (piano), Peter Washington (bass) and Dana Hall (drums) - are excellent foils and partners. The arrangements, all by Barth, are respectful of the melodies and harmonies but also gives the group plenty of space to give fresh interpretations of this fine music. "U.M.M.G. 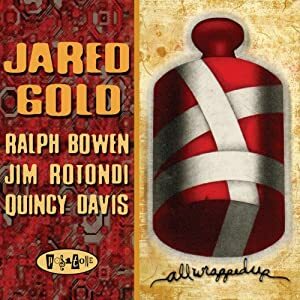 (Upper Manhattan Medical Group") swings with abandon, riding atop the active rhythms of Hall and solid bass lines of Washington, all of which allows the front line dig deeply into the tune, giving it a bebop feel. The temperature rises even higher on "Johnny Come Lately", with Hall really "kicking" the band (strong solo as well), Stafford flying high, Warfield, on soprano, scurrying through the changes, and the pianist with his fingers flying around the keys. Barth's luxurious piano lines supports Stafford on their bluesy journey through "Day Dream." The rest of the band sits out while the two take the tune through several different mood swings. "My Little Brown Book" takes the ensemble even deeper into the blues, with Warfield (a musician who really deserves more attention) offering a solo that hints at Coleman Hawkins, Ben Webster and Paul Gonsalves. Produced by John Clayton (who, along with his brother Jeff, son Gerald, drummer Obed Calvaire and Stafford tour comprise the Clayton Brothers Band), "This Side of Strayhorn" not only salutes a great composer but also shows how this music is still relevant, human and fun. To find out more, go to www.terellstafford.com. Here's a video of the Quintet in action from 2010 - the sound and video quality is not stunning but you can see how strong a working unit the band is. 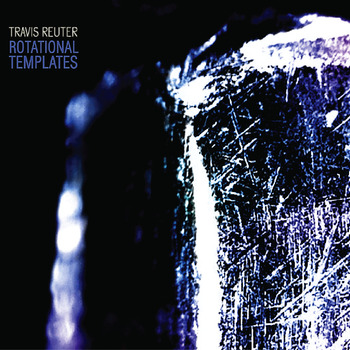 Travis Reuter has created a debut that is both confrontational and spell-binding, music that pulls in the listener and takes him or her on quite a ride. And, this is music that should be played loud so that the sound hits you in the chest while it enters your brain. To find out more and listen to the music, go to trconjecture.bandcamp.com/. Composer/percussionist Harris Eisenstadt works in many different ensembles, creating music that ranges from what could be labeled as "avant-garde" to projects inspired by West Indian drumming and the compositions of Wayne Shorter. Canada Day is his long-running quintet (first gig was on July 1, 2007, a day that celebrates the unification of the Canadian Provinces into a nation) featuring the talents of Matt Bauder (tenor sax), Nate Wooley (trumpet), Chris Dingman (vibraphone) and Eivind Opsvik (bass). Their self-titled debut CD, issued in 2009 by Clean Feed Records, displayed the melodic side of Eisenstadt's music without diluting his original approach. The Vancouver, British Columbia-based Songlines label is the home for the new CD, "Canada Day II" and the music builds on the solid musical foundation of the debut. One of the strengths of Eisenstadt's music is how he blends the horns and vibes, allowing the individual voices to mesh their sounds without the results sounding cluttered. Another strength is the "groove" the rhythm sections creates on the up-tempo tracks; the sinuous and slinky bounce on "To Seventeen" or the fiery approach on "To See/Tootie" is exciting. But the majority of the pieces are slower and one gets to really hear and enjoy the interplay. On initial listening, you may not notice the subtle changes in the approach of Opsvik and Eisenstadt behind the soloists on "Judo with Tokyo Joe (for Joe Zorn") but it's a good part of what the tune enjoyable. Chris Dingman's playing is impressive throughout and not just his solos but the colors and textures of his work behind or alongside the others is notable. His interactions with Bauder on "Now Longer" are percussive, sharp chordal exchanges that catch the ear; then he creates marimba-like tones beneath Opsvik as the piece moves out. The conversation he has with the drummer on "To Be" is fun and musical. Nate Woodley is another player who can be lyrical at one moment (his solo on "To Seventeen" swings in a charming fashion) and fractious at one times (his solo that opens "To See/Tootie" swings madly but never goes awry.) Matt Bauder displays a lighter tone on tenor, even when pushing hard (as he does on "Cobble Hook"), creating choppy seas on "Now Longer" or swinging hard , as he does on "To Be." There are few cliches in this music, whether Eisenstadt is creating a hummable melody or an arrangement that displays communal strength of the quintet (the final 2 minutes of "To Be" is an impressive example of the bond of the musicians.) It's easy to tell that these 5 musicians are friends; one hears them conversing throughout, challenging each other, supporting, pushing, sometimes caressing but never stepping on each other's lines. July 1 may the day for the nation but people who enjoy good music can enjoy "Canada Day II" all year round. To find out more, go to www.harriseisenstadt.com. Israeli-born Nadav Remez moved to Boston, MA, in 2005 to study at the Berklee School. In 2008, he moved on to study at the New England Conservatory and he has quietly but steadily turning heads ever since with his fine musicianship and mature compositions. His debut CD, "So Far" (BJU Records), features a strong ensemble including James Wylie (alto saxophone, clarinet), Steve Brickman (tenor sax), Shai Maestro (keyboards), Avri Borochov (bass), Zvi Ravitz (drums) and special guest Itamar Borochov (trumpet). Remez's melodies and the mixture of the reeds and trumpet are reminiscent, at times, of the sound of Brian Blade's Fellowship Band, most notably on "Pinchas" and "The Last Exile." The way the guitar and piano weave in and out of the mix is also highly effective. "Lecha Dodi", a song from the Shabbat evening service, rides in majestically with Itamar Borochov's trumpet leading the way then the bass falls into a Middle-Eastern pattern. The leader gives the melody and solos over to the trumpet, reeds and Maestro's expressive piano. There's much to like here, especially the way the composer uses the music of his native land to inform the melodies, harmonies and, occasionally, the rhythms. Solos are short but uniformly strong. Long after the last note fades, it's Nadav Remez's fine compositions and arrangements that stand out. To find out more, go to www.nadavremez.com. Must-have! Multi-instrumentalist/composer Steven Lugerner has issued a most ambitious debut recording. "These Are The Words/Narratives" (self-released) displays 2 different sides of the composer's life. "...Words" is based on the Old Testament/5 Books of Moses with the titles of the first 5 tracks taking their name from the first word of each Book. For instance, the opening track "In the Beginning" takes its name from the initial word of the Book of Genesis (in Hebrew, "Bereshit.) In the composer's tone poem, the track starts in complete silence and it is 18 seconds before one begins to hear the seemingly random notes from Myra Melford's piano and another 30 seconds before the hint of cymbal sounds from Matt Wilson. It's not until the 3 minute mark that one can discern a pattern and another 30 seconds before Lugerner's clarinet joins with the trumpet of Darren Johnston to create a melody that sounds like clouds floating through a morning sky. Wilson creates short melodic passages beneath the long tones of reed and brass plus the tolling piano chords. The clarinet rises out of the mix for an expressive solo that slowly spreads its range, like Adam walking through Eden for the first time. The hypnotic quality of the music captures the wonder and awe of first sight, builds in intensity as the world takes shape. Melford's splintered piano lines bring the First Book to a close. This is an impressive undertaking. Throughout the program, Lugerner's music illustrates the complex object that is man and his burgeoning and sometimes difficult relationship to and with the Lord. 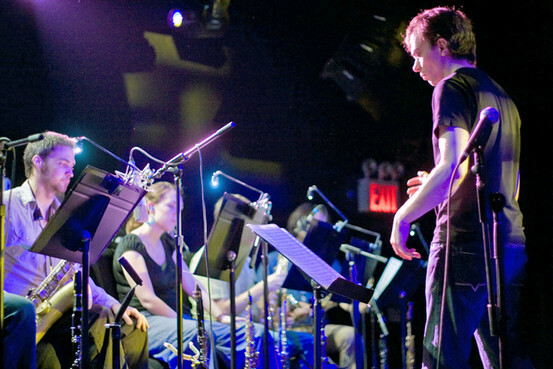 One hears echoes of Aaron Copland, Igor Stravinsky and Leonard Bernstein as well as Marty Ehrlich and Fred Hersch - there are moments of noise, of chaos, but also times of sheer beauty. On repeated listenings, one hears in better detail the interplay of the 4 musicians; the shapes within the music soon make more sense and one realizes that this is a meditation of the themes of belief, creativity, devotion and commitment. CD 2, "Narratives", features a septet of Lugerner's contemporaries from The New School, each one chosen for his particular sound. The front line consists of Lugerner (saxes and clarinet), Lucas Pino (tenor sax, flute) and Itamar Borochov (trumpet, flugelhorn - see Ramez review) with guitarist Angelo Spagnolo, pianist Glenn Zaleski, bassist Ross Gallagher and drummer Michael W. Davis. Even with the expanded palette, Lugerner does not clutter his sonic palette. Trombonist Adam Mendonca (who does not appear on the CD) contributes 2 tracks, the high-energy and funky "Flux Capacitor" (remember "Back to the Future") and the cinematic "Toy Balloons" that closes the program. Guitarist Spagnolo's offering, "At Your Feet, Frankincense", is an ensemble piece that spreads the melody lines in various combinations of instruments. Other highlights includes the lovely ballad "Alondra" that features a lovely soprano solo from the leader (and composer) and a fascinating, off-kilter, guitar solo. "Simplicity" is also a sweet ballad, Borochov's handsome flugelhorn leading the way with a cascading line from the reeds as support. As Davis's drum push from the beneath, the piece becomes heated before the handsome alto sax solo quiets the commotion. I hear the influence of Billy Strayhorn in the melody line of Lugerner's "French Windows" but the forceful yet conversational drumming reminds one of the work of Steve Gadd on Steely Dan's "Aja." Pino's tenor solo reinforces the Shorter connection without being slavish to his "sound." Like the first CD in the package, "Narratives" offers much to the discerning listener, especially if one is patient. Don't look for obvious influences; instead, listen for the interplay, for the original melodies, impressive arrangements, and the honest attempt to embrace many styles without settling on one. I imagine these works open up a bit more in concert yet do not seem underdone on record. To find out more, go to stevenlugerner.com. 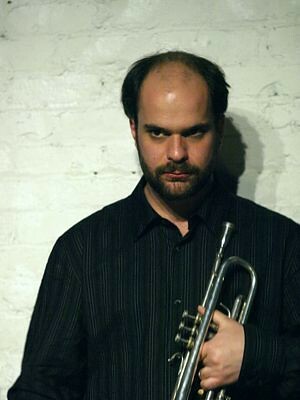 Firehouse 12, 45 Crown Street in New Haven, welcomes trumpeter/composer Shane Endsley and The Music Band this Friday (4/22) for 2 sets, 8:30 and 10 pm. His new CD as a leader, "Then The Other", is the initial release on Kneebody's Low Electrical Records and features pianist Craig Taborn, bassist Matt Brewer, and drummer Ted Poor. For the Firehouse hit, the rhythm section is intact but Taborn's chair will be filled by pianist Matt Mitchell. For ticket information, go to www.firehouse12.com or call 203-785-0468. To learn more about the trumpeter and his music, go to kneebody.com and follow the links. Jamie Begian, Assistant Professor of Music at Western Connecticut State University in Danbury, is very excited about the 2011 WCSU Jazz Festival set to take place April 28-30. 3 evenings of music will be presented in Ives Concert Hall, in White Hall on the university’s Midtown campus, 181 White St.
And, what a lineup! On Thursday, the WCSU Jazz Faculty will perform at 7 p.m. Included in the lineup will be Dave Scott (trumpet), Deborah Weisz (trombone), Andrew Beals (alto saxophone), Chris Morrison (guitar), Peter Tomlinson (piano), Dave Ruffels (bass) and Jeff Siegel (drums). The following night at 7 pm., the WCSU Jazz Orchestra, with special guest Benny Golson (tenor saxophone, pictured above) will take over Ives Concert Hall. The 82-year old Golson (pictured above), an energetic figure on the jazz scene since the early 1950s, is yet another product of the celebrated Philadelphia jazz culture, a "scene" that brought us John Coltrane, the Heath Brothers, Philly Joe Jones, Bill and Kenny Barron and many others. Over his lengthy and creative career, he composed such standards as "I Remember Clifford", "Stablemates", "Killer Joe" and "Whisper Not". In 1995, Golson was named an NEA Jazz Master and , in 2007, received the Mellon Living Legend Legacy Award presented by the Mid Atlantic Arts Foundation. In 2009, Golson was inducted into the International Academy of Jazz Hall of Fame, located at the University of Pittsburgh. The Festival comes to a resounding climax on Saturday evening when Darcy James Argue's Secret Society takes the stage at Ives Hall. Originally from Vancouver, British Columbia, Argue came to the United States at the New England Conservatory of Music in Boston. His teachers included Bob Brookmeyer and one can hear some of that legendary composer/trombonist influence in Argue's compositional range. He's worked with composers Maria Schneider, Lee Hyla and John Hollenbeck. After moving to Brooklyn, he began to assemble the Secret Society, eventually growing into an 18-member ensemble featuring many of the finest young players in New York City and its environs. The band's debut CD, "Infernal Machines" (New Amsterdam Records) hit the streets in late 2009 but fans of Argue's blog have been listening select gigs several years before the recording. One could literally hear the band gelling; as the musicians became more \familiar with the music, the pieces began to take life and one could honestly say (or write) that, while Argue's work has its antecedents, no other group sounds quite like the Secret Society. Before Argue and his compatriots take the stage, 2 student ensembles will perform. For more information about the Festival, go to www.wcsu.edu/music. To find out more Darcy James Argue and the great band he feeds and leads, go to www.secretsocietymusic.org. I've mentioned Jason Crane and his fine podcast The Jazz Session on these pages many times. Crane, who just relocated to New York City from upstate New York, began the interview program in late February 2007 talking to saxophonist Grant Stewart and, over the course of the program, has interviewed musicians of all ages and levels of "stardom" (from Sonny Rollins to the afore-mentioned Argue) as well as journalists, authors and club owners. Crane, who is also a published poet, has a great style and an innate ability to cut to the heart of the subject. He knows his music, never shortchanges his guests and can really put his guests at ease; therefore, the show sounds like a conversation, not like a "grilling." Late last year, Crane announced that he needed the support of his many listeners to keep the twice-weekly show going. For as little as $10 a month ($110 a year), with 100 "sponsors", The Jazz Session could stay alive. He set a goal of "100 x 300"; by his 300th show (slated for late August), Crane needs to get a fraction of his listeners to help support his journalistic endeavors. Yes, I know it's a tough economy, gas is not getting any cheaper or good jobs more plentiful. But, there is so much good music made by hard-working musician that gets ignored by the "mainstream" press. Jason Crane really fills a void, an on-line "aural history library" of 21st Century creative music. There are few print magazines that do what Crane does and, with the loss of CADENCE at the end of 2011, one of the best of that ilk will disappear. To find out more, go to thejazzsession.com and find out how to become a "member." Yes, life has been crazy around Step Tempest HQ and I nearly missed telling you about this event. The poster speaks for itself but, if you want to find out more, go to http://nhic-music.org/events/VergeFest2011/VergeFest2011.html. 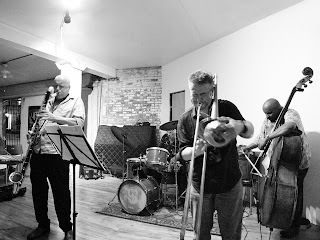 The Spring 2011 Concert Series continues apace this Friday (4/15) at Firehouse 12, 45 Crown Street, New Haven, with 2 sets from the Daniel Levin Quartet. 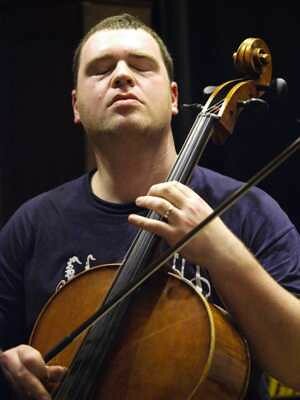 Cellist-composer Levin, a native of Burlington, Vermont, graduated from the New England Conservatory in 2001 and, since then, has steadily built his career as a leader and sideman. He's released 8 CDs under his own name (on labels such as Hat Art and Clean Feed) plus worked and recorded alongside musicians such as Billy Bang, Anthony Braxton, Tony Malaby, Joe Morris and William Parker, among others. Joining him in the intimate performance space will be Nate Wooley (trumpet), UCONN graduate Matt Moran (vibraphone) and Peter Bitenc (bass.) This ensemble has been working and recording together for 9 years; their musical interactions display the friendship and trust built from their time touring. For ticket information, call 203-785-0468 or go to www.firehouse12.com. To learn about Mr. Levin and his compatriots, go to www.daniel-levin.com/. There's something about the Hammond B-3 organ that makes it just right for "soul-jazz." Over the years, musicians such as the "Jimmys" - Smith and McGriff - Charles Earland, Larry Young and Joey De Francesco have played all sorts of tunes utilizing the big organ. Other highlights include "Saudades", which hints at Latin roots but slides lightly atop Davis's sparkling cymbals and Gold's full-voiced chordal work. Then, there is the "fatback funk" of "Mama Said" with strong solos all around led by the "can't miss" beat provided by Davis. "All Wrapped Up" is fun music, great for turning up the speakers and shaking the walls. Gold unselfishly shares the spotlight; it's all for good that both Bowen and Rotondi are fully committed to make the session successful. With Quincy Davis piloting the ship from the drum set, this CD is a real treat. For more information, go to www.posi-tone.com. Underground - Lisa Hilton (Ruby Slippers Productions) - This is Ms. Hilton's 15th release and the first I have encountered. She is a facile pianist who rarely uses technique as a substitute for substance. With the rhythm section of Nasheet Waits (drums) and Larry Grenadier (bass) as well as the ruminative tenor saxophone of J. D. Allen, this is a program steeped in the blues, with intelligent interplay. At times, the manner in which the quartet interacts is reminiscent of Keith Jarrett's group with Dewey Redman, Charlie Haden and Paul Motian. The title track starts as if unraveling, short, sharp, sounds, then Ms. Hilton settles into a riff that seems influenced by the Spanish tinge of Jelly Roll Morton but there's a urgent quality to the group interactions. "Boston + Blues" has a sweet, smoky, melody delivered by Allen and the pianist, whose work here echoes the sounds of Art Hodes, Otis Spann and, at times, Professor Longhair (but never in a way that suggests imitation.) There is a not-so- subtle reference to Beethoven's "Fur Elise" during the piano solo. New Orleans piano also informs "Jack & Jill", a cut that features excellent support from Waits and his variations on "parade drumming." There's an Erik Satie to the interpretation of Bill Evans' "B Minor Waltz" - not as ornate as the original but gentle, open, with interactions that are playful yet always musical. Allen stays in control, playing with a tenderness one does not always hear in his Trio settings. That's not to say the solo he plays on "Someday, Somehow, Soon" is weak - no, it's thoughtful, with longer tones and short phrases repeated like prayer lines. (On the "extended take" that ends the CD, Ms. Hilton sweeping piano flourishes bring to mind the harp work of Alice Coltrane.) The saxophonist "opens up" a bit more on "Blue Truth" yet there are fleeting moments when his whisper-like tones draw one closer to the sound, if only to make sure you're sure that you hear his phrases. The support from Grenadier's simple yet powerful lines is excellent throughout. The way he maneuvers beneath Ms. Hilton's finely etched left hand-lines on "Come & Go" is ripe with melodic possibilities and frees up Waits to create dynamic percussive variation. "Underground" is music for the times when one wants to get away from the hustle and bustle. "Escapist music"? Perhaps, but better described as a creative panacea to the harsh and strident sounds that attack one on a daily basis. For more information, go to www.lisahiltonmusic.com. This coming weekend is an exciting one for jazz fans who live in the New Haven area as there are 2 concerts on consecutive nights guaranteed to whet one's appetite. On Friday night (April 8), Firehouse 12, 45 Crown Street in New Haven, continues its Spring 2011 Concert Series with a visit from the Ullmann/Swell Quartet. Originally formed in 2004, the four-some is known for its intense music, intelligent improvisations and creative interplay. The front line of Gebhard Ullmann (saxophones, clarinets) and Steve Swell (trombone) works extremely well together; both great soloists, they often intertwine their lines to create thorny and handsome aural landscapes. The veteran rhythm section, bassist Hill Greene and drummer Barry Altschul, can be both propulsive and fiery, whisper-soft yet forceful. Over the years, the group has issued 3 CDs but its best milieu is the live concert. To find out more about the band, go to www.gebhard-ullmann.com. To order ticketsor for more information, call 203-785-0468 or go to www.firehouse12.com. On Saturday evening, Jazz Haven presents the Noah Preminger Quartet at 7:30 p.m. in St. Paul & St. James Episcopal Church, 57 Olive Street, in New Haven. 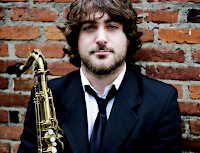 Earlier this year, the 24-year old tenor saxophonist, a Connecticut native, issued his 2nd CD as a leader, the exquisite sounding "Before the Rain" (Palmetto Records.) Featuring the sensitive accompaniment of pianist Frank Kimbrough, bassist John Hebert and drummer Matt Wilson, the program consists, mostly, of ballads yet is never plodding or overtly pretty. For more information about Noah, go to www.noahpreminger.com. 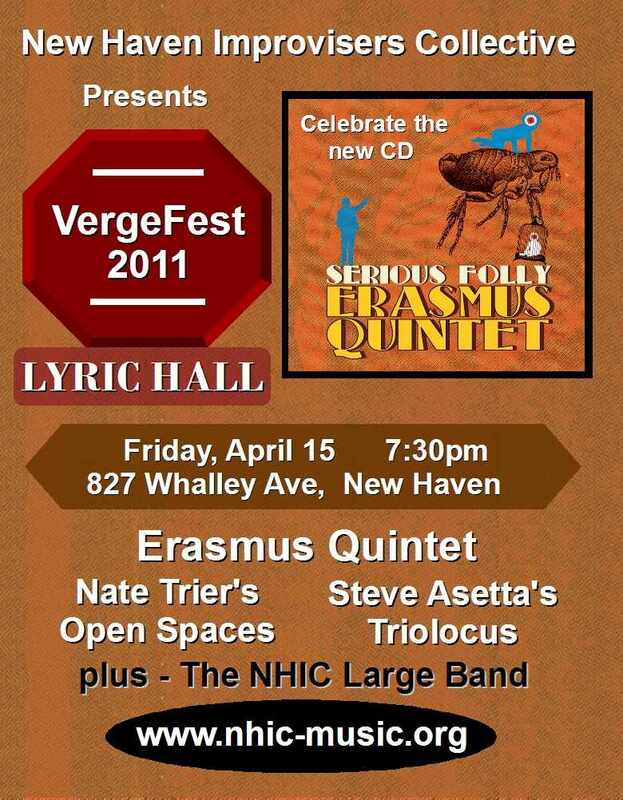 To find out more about the concert and to purchase tickets, go to www.jazzhaven.org or call 203-469-9020. The first time I heard the World Saxophone Quartet was a 1977 recording, the group's first, "Point of No Return: Live At Moers" ( Moers Music). Noisy, raucous, intense music, I was initially put off by the challenges the music posed. Then came the group's Black Saint debut, 1979's "Steppin' With the World Saxophone Quartet" and its funky and free title track. The roles seemed better defined; Julius Hemphill, Oliver Lake, David Murray and Hamiet Bluiett were like 4 brothers (but not like Woody Herman's "Four Brothers" from the 1940s), sparring, blowing hard, digging deeply into the blues and not only playing the history of Mr. Sax's instrument but creating new languages for the various reeds they played. Then, I saw them in concert. Dressed in tuxedos, they brought the house down with their infectious take on "free" music. Bluiett's baritone shook the wall while Murray's momentous tenor lines created fire in one's chest. Hemphill, who would leave the WSQ in 1989 (and pass away 6 years later), and Lake worked through the melodies and voicings, creating solos that wailed, keened and often soared through the hall. Bluiett and Murray are still at it and the Quartet has a new CD. "Yes We Can" (Jazzwerkstatt) is a live recording from March 2009 and a concert in Berlin, Germany. Filling out the group is James Carter (who's been with the WSQ on and off since 1995) and New Orleans-based alto saxophonist and educator Kidd Jordan. It was Jordan who first brought the original group together in the Crescent City in the mid-70s. The title track, composed by Murray, celebrates the recent (at that time) election and inauguration of Barack Obama. A lively piece, with a sweet melody line that leads into a long exciting solo section before closing with variations on "Hail to the Chief" and other patriotic tunes. Bluiett's "Hattie Wall", the official theme song of the WSQ, opens and close the program, the horns moving together and separately to create a bluesy dance that occasionally erupts into short, electrifying, solo sections. The low notes on the baritone can still shake the speakers. Jordan's "The River Niger" opens with each player working on a melodic fragment before moving into a handsome melody that moves sensuously along atop the rich baritone line. Murray's "The God of Pain" is a richly realized ballad that echoes works by Duke Ellington and Billy Strayhorn; the long, unaccompanied tenor solo moves way up into the stratosphere and leads into the faster yet still melodic "The Angel of Pain." - the music moves "out" and the rhythm is implied but the intertwined lines are rich with ideas. All but Jordan play clarinet on Bluiett's long and heartfelt ballad "The Guessing Game." The work has a symphonic quality, touching on the blues that informs much of the composer's music. "Yes We Can" is a positive statement on many levels, not only a political slogan but a clarion call for the 21st Century as well as a resounding vote of assurance that the World Saxophone Quartet is still creative, still moving forward. Amazingly, the band does not have a website but go to http://hamietbluiett.com to find out more. Dr. King, and the Marcus Shelby Orchestra Testifies! Today, April 4, 2011, is the 43rd anniversary of the assassination of Dr. Martin Luther King, Jr., in Memphis, Tennessee. Take just a moment to think about the work he did in his short but eventful life (1929-1968), the work that he started and the work that still needs to be finished. Here's a video of the Marcus Shelby Orchestra performing the late Curtis Mayfield's "We're a Winner."